Last summer and again this month, I visited the most incredible shop in London called Taylors Buttons. 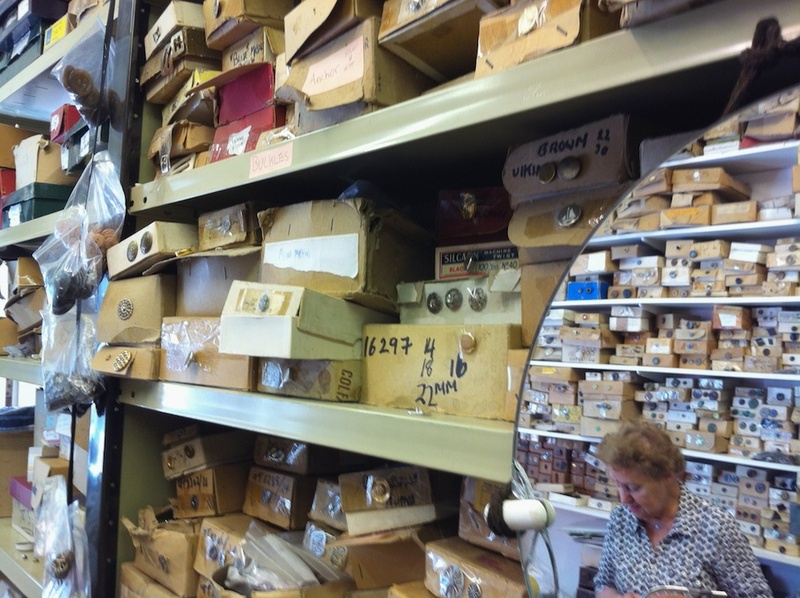 I'm in awe of the range of antique and one of a kind buttons that you can find in this Aladdin's cave of a store! 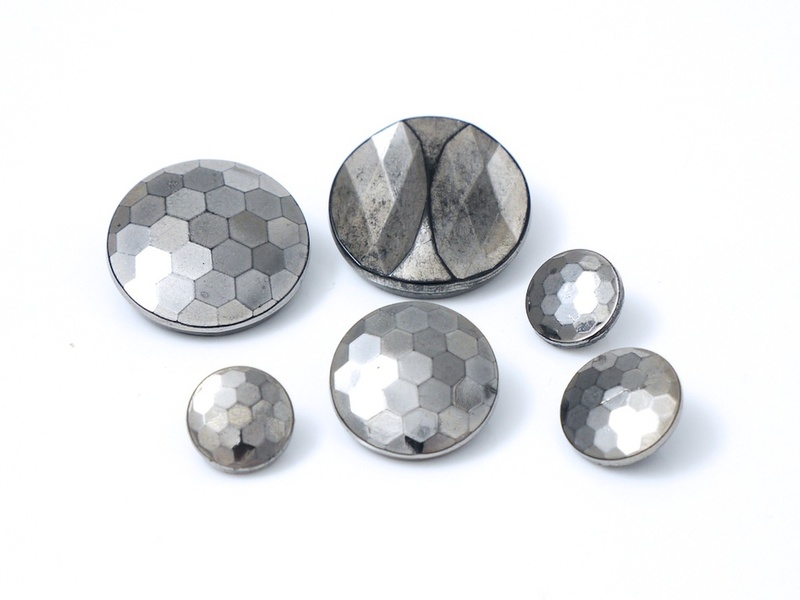 The buttons here are made of a wide variety of materials from plastic, glass, metal, ceramic, crystal and leather, just to name a few! Inside the shop, the shelves are stacked from floor to ceiling with box upon box of buttons, so the hardest thing is choosing which ones to buy!! Also, many of the buttons are quite old and not made anymore so it's a good chance to pick up some limited edition pieces! 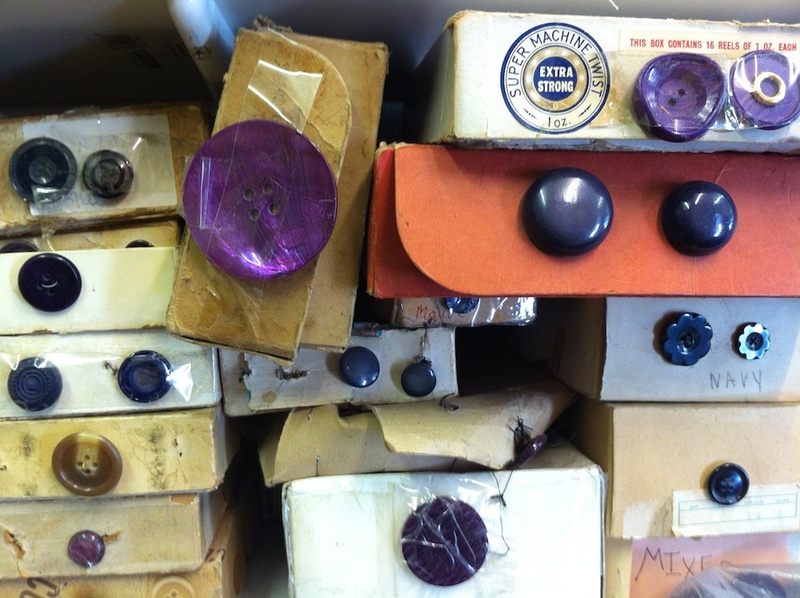 The history of the shop itself is as interesting as the buttons it holds. 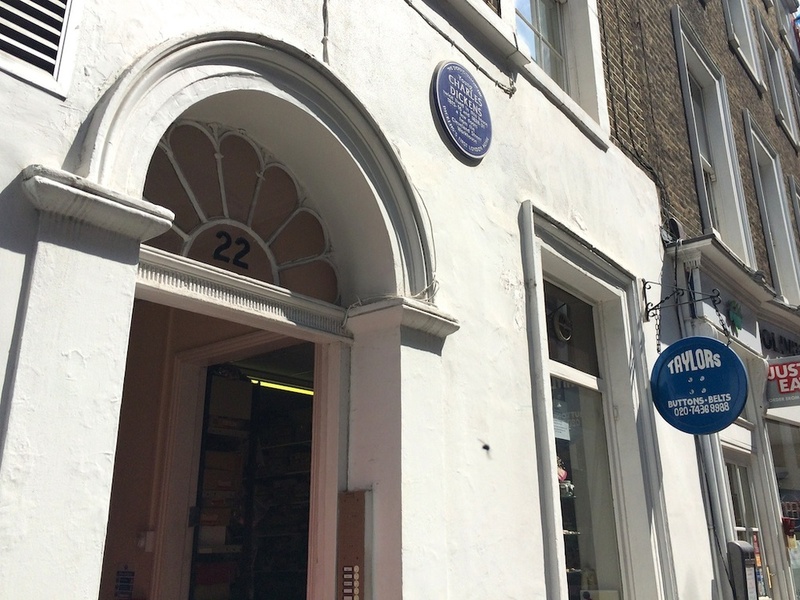 Charles Dickens lived in the building twice during his life - you can see the distinctive blue plaque on the wall outside. It's also just down the road from what was once the Cleveland Street Workhouse, the same one which possibly inspired Dickens when writing Oliver Twist. It was a real pleasure to meet the owner and proprietor of the store, Maureen Rose and to chat with her while I was there. She told me that her shop is over a 100 years old and that she and her late husband, Leon Rose, took over the business about 50 years ago. Mrs Rose has made and supplied buttons for film, television and theatre as well as for fashion designers so her work has appeared in many performances on the screen and stage. She told me one of the best parts about this kind of work was the variety of people that come into her store - from someone trying to replace a missing button to others wanting something special like some hand covered buttons for a period TV drama. Mrs Rose has been really helpful each time I've visited. She's always able to able to pick out something new and unique for me. 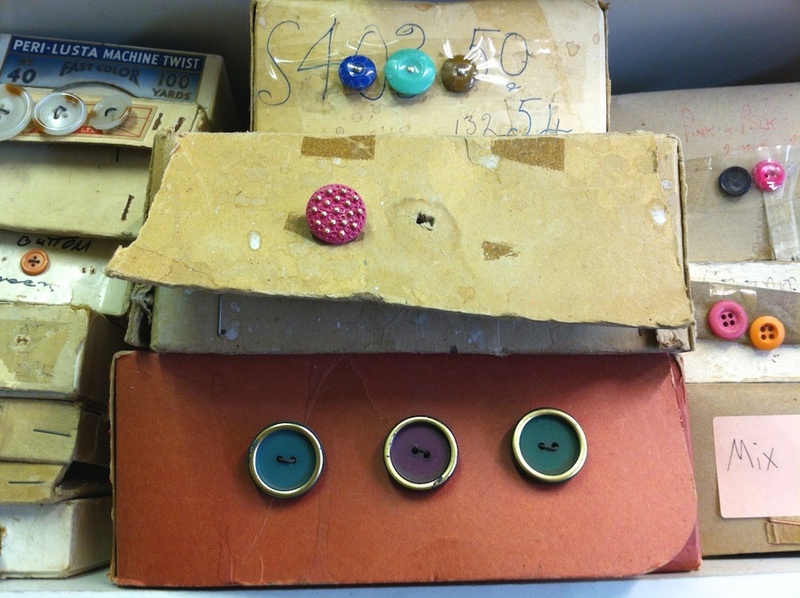 I spent a very happy couple of hours pouring over buttons in their old boxes and I found a few hidden jems that I hope to make into some jewellery pieces! 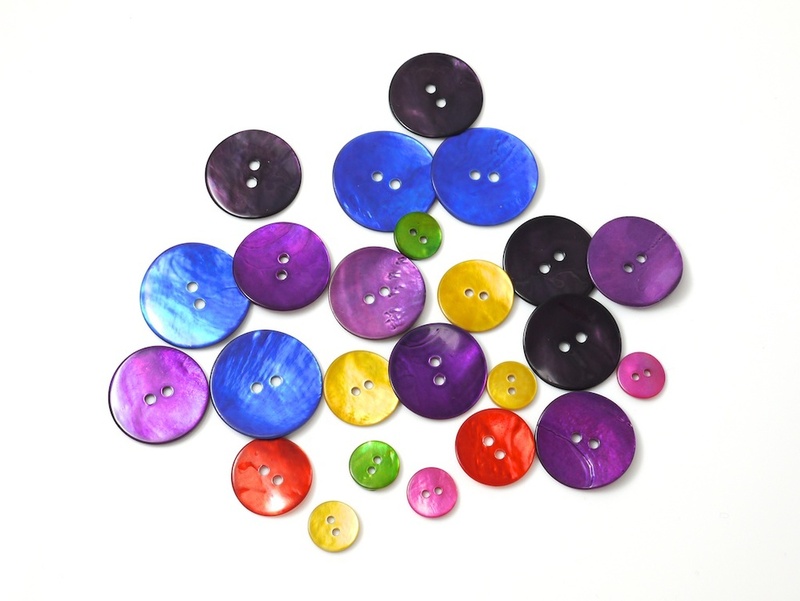 I particularly like these shell buttons (below) that were custom dyed in vibrant rainbow colours. 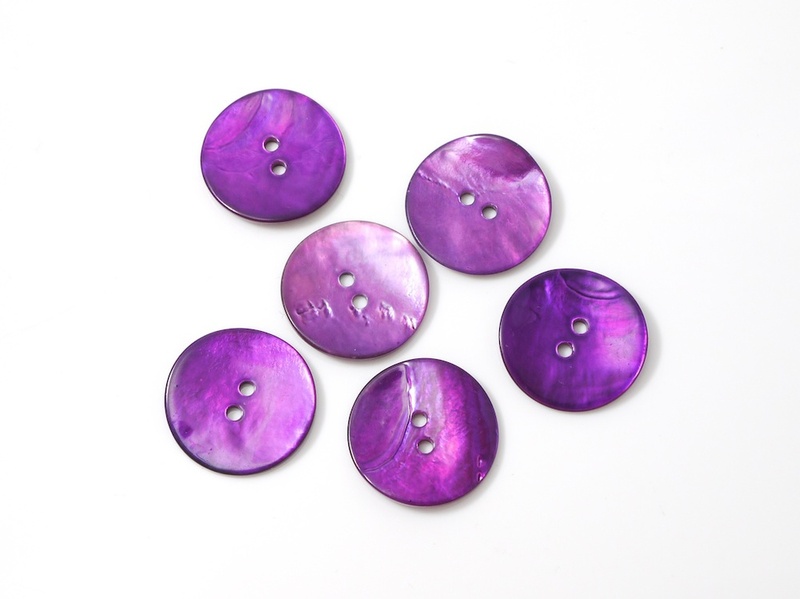 A customer recently used some of the small purple ones on a waistcoat for his wedding day. She also showed me these "goldfish" buttons (below left) - so called for their golden colour. 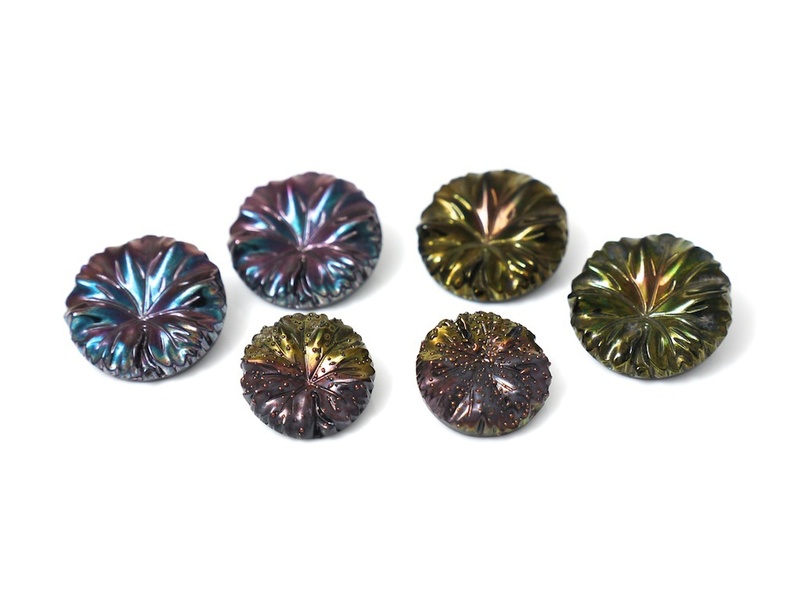 They're made from abalone shell and have a lovely opal finish. 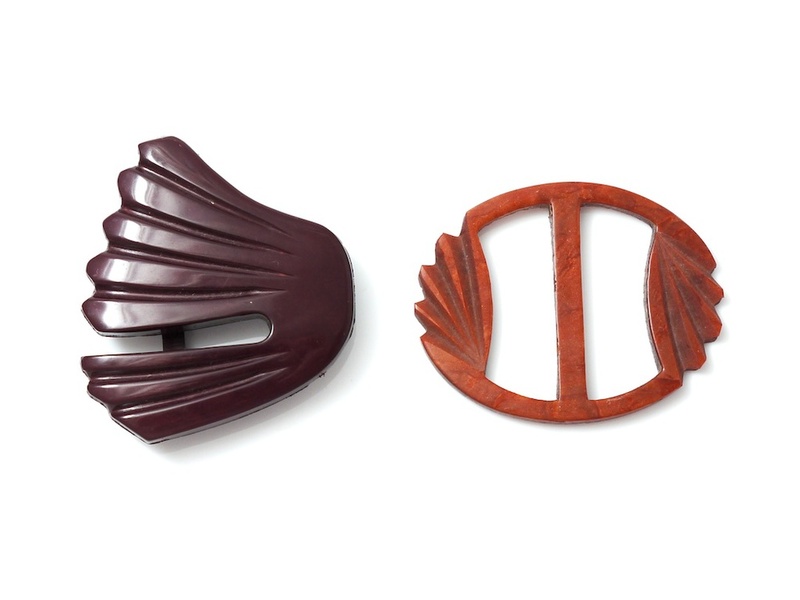 I also picked up some unusual belt buckles (below right) that I might make into a brooch or a necklace. I love their organic lines! The glass buttons in the shop are some of the most interesting ones I've seen! I chose some with a gun metal finish that really catch the light (below left). I also fell in love with these cone shaped ones (below right). I think they look a little like ornate parasols. The level of detail is amazing! Many of the buttons in the store are very good value, costing around 50 pence a button. Even some of rare antique buttons like these red, green and blue crystal ones (below) with hand set stones are only a few pounds each. Coming into Taylors Buttons, I felt at home. Its a relaxed and welcoming place - a lovely shop to spend an hour or two. While I was there, quite a few customers and friends stopped by for some button advice and a friendly chat with Mrs Rose. I get the sense that it's an important part of the local community. Also, it's only about a 5 minute walk from the British Museum so you can do a bit of site seeing nearby. And there are plenty of cafes in the surrounding streets where you can grab a bite to eat and have a well earned button break! Don't come here if you have a button phobia - as Mrs Rose told me, it's an actual phobia! As for me, I'll be sure to be back again soon!